Another Molson Bank - this time in Vancouver (http://pasttensevancouver.tumblr.com/post/38639736731/molsonsbank1925). It's right behind the Carnegie Centre library on Hastings & Main. I used to live across the street in the fantastic Ford building (built in 1912). 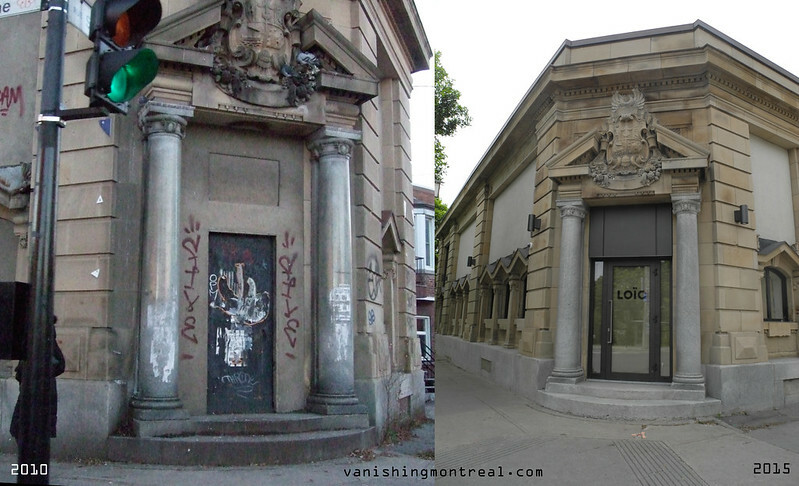 Glad to see not everything is being torn down in Montreal (*and* Vancouver) for ugly condos. Gives me a bit of hope!